All Welcome!! 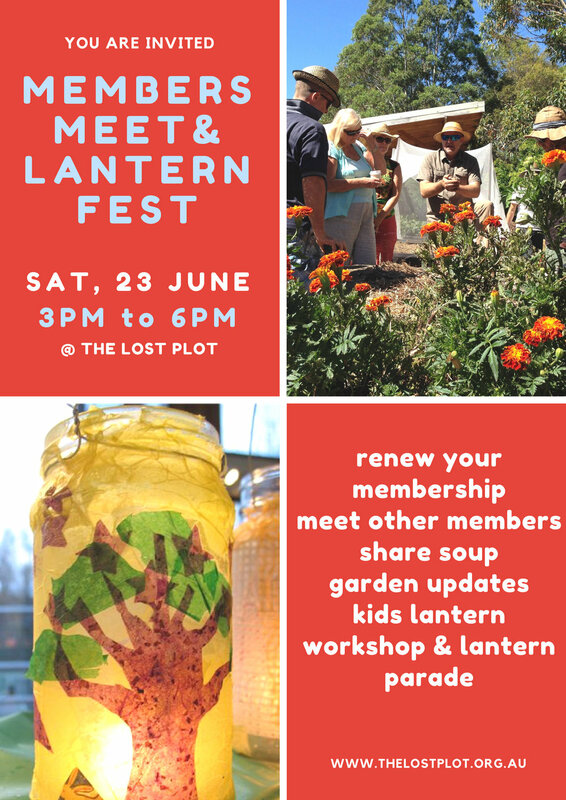 This is a social event for members, a 'thank-you' event for all the hard work in the garden over the past year, and a 'welcome' event for anyone wanting to join us for the first time. Bring the kids, enjoy a mug of soup made by our community, and bread freshly baked by the children. Kristy, a teacher from Port Macquarie Steiner School will tell a special story for the children before we head off for a lantern walk throughout the gardens. On Thursday 14th there will be a lantern-making workshop, from 3:15-4:15 at the garden. We will ask for just a gold coin donation to cover the materials. BYO lanterns along on the Saturday, soup mugs, warm clothes and a picnic rug. We will have beeswax tea light candles available for $2 each.